Two people that I have always respected are Aaron Smith of the National Cannabis Industry Association (NCIA) and Cy Scott, co-founder of Headset and co-founder of Leafly. I have hung out with Aaron on several occasions now, and he is incredibly bright and fights hard to push for reform. The team he has built includes many alumni from Students for Sensible Drug Policy, which is fantastic. Aaron recognizes talent and is advocating at the federal level in an effective way that no one else is quite doing. Cy Scott’s resume speaks for itself – Leafly is one of the most popular marijuana websites on the planet, and Headset is helping revolutionize the way people operate in the cannabis industry with their data services. I have met Cy before and interviewed him over the phone before, and he has a ton of insight on the growing industry. Both guys will be speaking at the Cannabis Collaborative Conference this week in Portland, Oregon. They will be joined by dozens of other top quality speakers. The event starts tomorrow with the Juana Career Readiness Workshop, hosted by Viridian Staffing. Viridian has done this type of event before with the Cannabis Collaborative Conference, and I knew several people that attended. All of them felt that the event really helped them with their career goals. The cannabis industry candidate pool is becoming more crowded by the day, and people should be doing everything that they can to get that edge, as it will likely end up being the difference between landing that dream job or continuing to be lost in the shuffle. 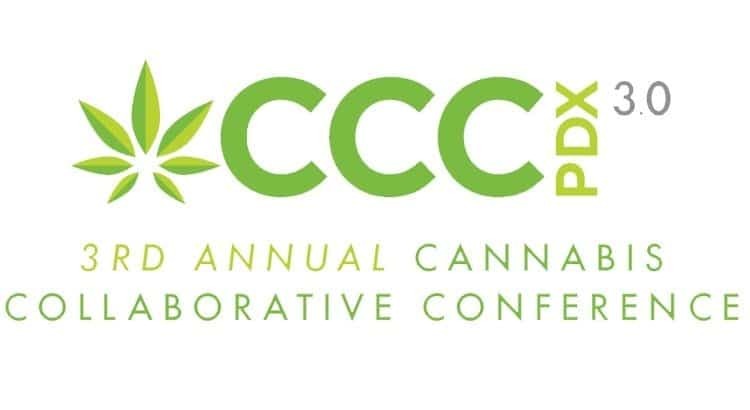 The Cannabis Collaborative Conference (CCC) itself will take place on February 15-16 at the Portland Expo Center. One thing that makes the event unique is that it features a ‘pitch portal‘ which makes pitching investors and finding solid projects to invest in much easier than the traditional route. The pitch portal is part of the event’s app, which puts all of the event’s schedule, list of speakers, and a ton of other info right in your hand. I’d imagine this will set off a trend of other events making event apps as well. The CCC is going to be jam packed with solid info, featuring some fantastic sessions, panels, keynote speakers, and networking opportunities. If you attend, make sure to say hello to Aaron and Cy and tell them that I said hello. It’s my understanding that Cliff ‘Uncle Cliffy‘ Robinson will be in attendance too, so make sure to swing by and tell him hello as well!